Adult books, resources, and senior services in Hartland for parents, educators, and job seekers. Explore tech help for online media and current library events. Join a book club at Cromaine Library in Hartland, MI to learn more, have fun. See ongoing clubs and attend or register on the calendar (810) 632-5200. Reserve books and movies online with the Cromaine E-Library. Login or create your TLN account to check out or renew books or movies. Explore titles of audiobooks and e-books (810) 632-5200. View the Cromaine Library Events Calendar to see featured, ongoing, special, and upcoming event details in Hartland, MI. Register online today or call (810) 632-5200. Explore additional info and resources online at Cromaine Library in Hartland, MI for adults, teens, tweens, and youth. For help call (810) 632-5200. Job seeker resources, events and help for adults near Hartland, MI. Search career books, job events, local job postings, and get Michigan Works access at Cromaine. Get a library card at Cromaine Library in Hartland, MI. Apply by filling out the form to reserve books, DVDs, and use online resources (810) 632-5200. Staff at Cromaine Library in Hartland, MI. Get to know the Administration, Youth (including Tweens and Teens) Services, Adult Services, and Circulation staff members (810) 632-5200. YALSA honors the best teen literature each year with its six literary awards, announced each year at the ALA Midwinter Meeting. See this year's top ten best fiction titles for young adults. The Alex Awards are given to ten books written for adults that have special appeal to young adults, ages 12 through 18. The winning titles are selected from the previous year's publishing. Search your family past with Ancestry Plus at the Library only with your library card and delve deeper into your family tree. Get your free credit report courtesy of Federal Law. Read past issues of Audubon magazine online to learn about birds, nature, and more! Automate replaces Chilton as the selected electronic resource for all automotive repair documentation. Find businesses, brands, and charities that you can trust. Search by city, state, postal code, business name, etc. to find information like website URL, addresses, phone numbers, and more. The Brighton Area School District consists of Hawkins Elementary, Hilton Elementary, Hornung Elementary, Maltby Intermediate, Spencer Elementary, Scranton Middle School, Brighton High School, and The Bridge. Learn more about the district's departments, Board of Education, policies, communication, and schools by visiting the website. Learn about Brighton Township's administration, assessing, clerk, planning, zoning, public utilities, and treasurer, along with boards and commissions, by visiting the website. Provides one-stop access to federal government info, services and transactions; includes business resource library. Search the Centers for Disease Control and Prevention website for diseases and conditions, travelers health, healthy living, emergency preparedness information and more. Read the Center for Science in the Public Interest's health letter for health and nutrition tips and information. View the official U.S. government site for Medicare for information on coverage, claims, and more. Also search and download important forms. Charyl Stockwell Academy District is a public charter school located in Howell, MI that uses state of the art instructional best practices in a K-12 school setting. Learn more about the school district by visiting the website. Find the right college for you. Search colleges by state, available programs, and institution type. View the Federal Trade Commission's consumer related information and scam alerts on businesses, products, charities, organizations, education insitutions, and more. See reports on recalled consumer prooducts, safety information and tips, and research from the U.S. Consumer Product Safety Commission. View unbiased product ratings and reviews from Consumer Reports, which puts around 4000 products through rigorous testing each year. Your Cromaine Library card number is required for access. Browse a digital archive of all recipes and select articles from past magazine issues. Search local Metro Detroit job listings on Craigslist by city, title, and more. Read past issues of Crain's Detroit Business online and download up to 3 copies for free from your personal computer. View information about Deerfield Township of Livingston County, Michigan. See tax information, find documents and forms, and read about the history. Access U.S. census data for research in the Demographics Now database. Search demographic information and create and download reports. Login using your library account information. Detroit Michigan news - freep.com is the Detroit Free Press. Read news about Detroit, as well as headlines and stories from around Michigan online. Includes free summaries of archived articles published as far back as 1831. Most full-text articles require a subscription fee. Includes archives of articles as far back as one week. Farther than a week back requires a subscription fee. Detroit Public TV builds on the PBS tradition to reach young people in new ways, extend lifelong learning for adults and setting the standard for helping kids become ready to learn. From new parent support through graduation and beyond, DPTV is a trusted partner and valuable resource for educators, parents, and children. A partnership of The Library Network (TLN) with the Detroit Zoo on a program called Tickets & More. Through the TLN Tickets & More program library patrons can purchase discounted admission tickets to the Detroit Zoo, save on discounted memberships, and dining. You can even purchase a pre-paid parking voucher. The discounted offers are updated at intervals throughout the year, in an effort to keep the program fresh. Find disability resources and links from the U.S. Department of Labor by visiting the website. The Diverse group in Genesee County, Michigan is ages 3-14 approximately, with many younger and older that participate. We have several activities that we regularly run (themed days, game days, park days, social gatherings, etc. ), as well as great field trips we take. It is about enjoying learning and supplementing what the children are already obtaining at home. We are not structured around a curriculum nor do we run structured classes with homework or assignments. The national Do Not Call Registry gives you the choice whether to receive telemarketing calls. Register your home or cell phone. Visit the Free Application for Federal Student Aid site to apply for student loans and get more information on financial assistance for higher education. See user submitted reader reviews on fantasy and fiction books. The Fenton Area Public School District consists of Fenton Senior High School, Andrew G. Schmidt Middle School, North Road Elementary School, State Road Elementary School, Tomek-Eastern Elementary School, and Ellen Street Campus Early Childhood Programs. Learn more about the district's departments, Board of Education, policies, communication, and schools, and see calendars, resources, and more by visiting the website. View information about the Fenton-Winegarden Library, a branch of the Genesee District Library located in Fenton, Michigan. Get free access to articles from the latest issue of Fine Cooking for recipes, cooking tips, and more. Guided by adult Coaches, FIRST LEGO League teams research a real-world problem such as food safety, recycling, energy, etc., and are challenged to develop a solution. They also must design, build, program a robot using LEGO MINDSTORMS® technology, then compete on a table-top playing field. Find teams, challenges, and events near you by visiting the website. Read Forbes Life articles from the latest issue online. View information about the Fowlerville District Library in Michigan. See programs, services, events, catalogs, and more. File your own complaint, or continue to Fraud.org for info on new and classic scams, prevention tips, to sign up for alerts, and more. Genoa Township is a charter township located in the heart of Livingston County, Michigan. See Genoa Township government, department, and community information. View information about the Hamburg Township Library in Livingston County, Michigan. See programs, services, events, catalogs, and more. Among its many services, the Chamber provides marketing guidance, referrals, credibility, and advocacy to its members in and around the Hartland area and throughout Livingston County. See upcoming events, the business directory, members, and fill out an application to join by visiting the website. Established in 1935, Hartland Area Community Council, a 501(c)(3) non-profit organization, serves as a forum to coordinate community projects and resolve community issues. See upcoming events, read meeting minutes, support the council, or read about the history by visiting the website. View information about Hartland's schools, education, events, departments, locations, and more. See local scholarship opportunities. Download scholarship details and application forms. Hartland Senior Activity Center: Promoting happy, healthy and independent living for adults 50 and over. From transportation, to resource advocacy, to health and wellness programs; we have a well-rounded center that can support our senior members as they age in place. See more information about the center by visiting the website. View the municipal financial summary and property records of Hartland Township. The Hartland Deerfield Fire Authority is responsible for fire protection, rescue, and emergency medical response for Hartland and Deerfield Townships. Also providing fire protection by contract to portions of Tyrone Township and the Lake Shannon Association, for a total coverage area over 80 square miles. Learn more by visiting the website. View and read digital issues of Home Business Magazine from your personal computer. hoopla is a digital media service that allows you to borrow movies, music, audiobooks, ebooks, comics and TV shows to enjoy on your computer, tablet, or phone – and even your TV! With no waiting, titles can be streamed immediately, or downloaded to phones or tablets for offline enjoyment later. We have hundreds of thousands of titles to choose from, with more being added daily. Access limited articles from previous archived editions of Hour Detroit Magazine. View information about the Howell Carnegie District Library in Howell, Michigan. See programs, services, events, catalogs, and more. The Howell Public School District consists of Challenger Elementary, Hutchings Elementary, Northwest Elementary, Southeast Elementary, Southwest Elementary, Three Fires Elementary, Voyager Elementary, Highlander Way Middle School, Parker Middle School, Howell High Freshman, Howell High 10-12. Learn more about academics, special education, athletics, community, the Board of Education, and see information for parents and students by visiting the website. The Huron Valley School District in Highland, MI consists of Oxbow Elementary, Harbor Highschool, Spring Hills Elementary, Muir Middle School, Oak Valley Middle School, Brooks Elementary, Lakewood Elementary, Country Oaks Elementary, Lakeland Highschool, Milford Highschool, Kurtz Elementary, The International Academy, Highland Elementary, Heritage Elementary, Johnson Elementary, and White Lake Middle School. Learn more about academics, activities, athletics, district information, and more by visiting the website. Search Indeed for job and career opportunities in your area and apply online. Edited by faculty, students, and staff from the renowned writing and literature programs at the University of Iowa, The Iowa Review takes advantage of this rich environment for literary collaboration to create a worldwide conversation among those who read and write contemporary literature. Use the IRS Forms & Publications Search to quickly find and download current forms, instructions and publications for individuals and businesses. Get career guidance, see resume and cover letter tips, and prepare to apply. Create your own free account to get started. Kanopy offers one of the most unique and compelling collections of independent and educational films. The films range from documentaries, indie and foreign films, must-see classics, and blockbuster movies. With a collection of over 30,000+ films, you're sure to find something interesting to watch on your computer or other mobile devices. Check KBB car price values when buying and selling new or used vehicles. Recognized by consumers and the automotive industry since 1926. The Michigan Legislature created The Library of Michigan to guarantee the people of this State and their government one perpetual institution to collect and preserve Michigan publications, conduct reference and research and support libraries statewide. Visit the website to see the Library of Michigan's catalog, resources, and more. The Linden School District consists of Linden Elementary School, Hyatt Elementary School, Central Elementary School, Argentine Early Childhood Center, Linden Middle School, Linden Highschool . Learn more about the schools, athletics, district information, and see information for parents and students by visiting the website. View information about Livingston County, MI. See municipal resources, departments, residential information, business directory, and more. The Area Agency on Aging 1-B offers many Services for Seniors that family caregivers might want to explore. Having support services like home care, meals on wheels or adult day care can help supplement and support the care you’re providing yourself and help you take an occasional break. 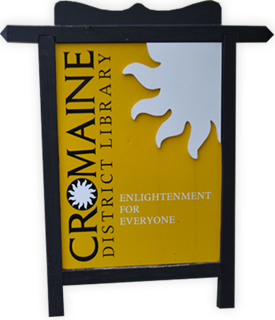 The Cromaine District Library is a community partner with the LCLC. They offer free tutoring to adults in Livingston County who wish to improve their skills in reading, writing, basic math, or English as a Second Language. Each learner is professionally matched with a trained volunteer tutor, based upon the learner’s goals and needs. All sessions are held in welcoming, safe, and positive learning environments. Call 810-522-8933 or visit their website to get started. See what events and resources Livingston County has to offer by visiting the website. See science fiction and fantasy resources, reviews, and news from Locus Magazine. Learn how Mango Languages' language-learning resources help patrons, students, employees, and individuals learn 60+ languages online and on-the-go. Apply for free library service including audio books and braille books. Search trusted health and drug topics for more information and advice from the U.S. National Library of Medicine. Explore information about child and adolescent mental health from the National Institute of Mental Health. Search NYC's Metropolitan Museum of Art's art history publications to download, or read online. Online resources from the Michigan Secretary of State including information on vehicle registration, driver's licenses and more. Michigan Center for the Book is affiliated with the Library of Congress and the Library of Michigan to promote awareness of books and literacy. Michigan's online electronic library provides full text articles and ebooks to michigan residents. See the latest Michigan government news, press releases, issues and initiatives, and more. Michigan Humanities Council aims to connect people by creating quality cultural programs. Archived issues of the Michigan Riparian, articles on waterfront living. Michigan resources for job seekers, employers, veterans, and skilled tradesmen. Michigan Department of Treasury information on taxes, property, finance, and more. Service for employers looking for specific workers and job seekers looking for employment. State of Michigan government website with info on business, education, health, and safety. Education based resources for parents of studens K-12. Milford Public Library located in Milford, MI website for members includes info and resources for adults, kids, teens and more. Online employment and job board for job seekers and employers. Resource for individuals to assist in financial planning and investment. 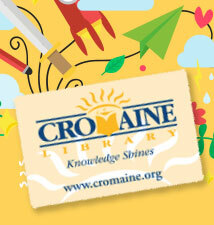 Your Cromaine library card number is required for access. Vehicle pricing information for cars, motorcycles, rvs, boats, classic cars, and manufactured homes. Health and wellness information for older adults provided by the National Institutes of Health. Online resources provided by librarians to help users with topics like book recommendations, medical resources, and more. Oceola Township of Livingston County, MI website where you can find meeting minutes, schedules of events, community resources and more. Directory of accredited online colleges and universities for students. Finance service to accept and process requests for consumers to opt in or opt out of credit or insurance. Our Savior Evangelical Lutheran School and Church online provides event dates, resources, school info and more. Downloadable Audiobooks and eBooks that you can now read on your mobile smart phones, iPad, Kindle, Sony, Nook HD and Nook Color eReaders, and many additional devices. Overdrive also offers Music that you can play on your home computer, burn to cd or transfer to any portable device. INCLUDING iPods! Parents magazine online resources for parents and future parents regarding pregnancy, health, safety, and more. Pinckney Community Public Library located in Pinckney, MI website with community information and online resources. Online database of free ebooks that are out of copyright infringement. Psychology Today magazine issue archive. Access to Rachael Ray's magazine with recipes, entertainment advice, and more. (Formerly, OneClick Digital) RBdigital has thousands of best-selling audiobooks from other publishers and exclusive recorded book content. Download the RBdigital app and use your login to access magazines on your mobile device. (Formerly, Zinio) View premier cover-to-cover digital editions of your favorite magazines on your laptop or PC. Download the RBdigital app and use your login to access magazines on your mobile device. The Library of Congress provides resources and book recommendations for kids, teens, adults, parents, and educators. Information and articles regarding food safety, bus safety, and general safety in schools. The Library of Congress has placed online nearly 25,000 Sanborn Fire Insurance Maps, which depict the structure and use of buildings in U.S. cities and towns. Maps will be added monthly until 2020, for a total of approximately 500,000. The online collection now features maps published prior to 1900. The states available include Arizona, Arkansas, Colorado, Delaware, Iowa, Kentucky, Louisiana, Michigan, Nebraska, Nevada, North Dakota, South Dakota, Vermont, Wisconsin and Wyoming. Alaska is also online, with maps published through the early 1960s. By 2020, all the states will be online, showing maps from the late 1880s through the early 1960s. The Sanborn Fire Insurance Maps are a great source of historical data to genealogists, researchers, etc. Books, crafts, printables and other parent resources for children ages 0-13. Resources, mentorship, and education for small business owners. Social Security Administration of the United States offers resources for retirement, disability, employers, and more. SPARK supports high tech businesses and provides resources for entrepreneurs and business owners in the greater Ann Arbor, MI area, including Livingston County, MI. See articles on cooking, design, lifestyle, and more in this monthly publication. Explore teacher chatboards, free lesson plans, job postings, crafts and more resources for educators. A website dedicated to reducing prejudice and increasing tolerance amongst our nation's youth. A free educational website that teaches older adults and other inexperienced Internet users with basic computer skills about websites that can help improve their quality of life. The Library Network serves 75 libraries in Southeast Michigan, providing online resources and books. See current issues, history, administration, news, and more at the White House online. Learn about the history of the White House and fun facts of its construction and layout. User submitted art and literature related to science fiction and fantasy. The Openheim Toy Portfolio rates childrens toys and media for quality so you can be informed before you buy. Tyrone Township news and information in Livingston County departments, ordinances, meetings, and more. Search bills and laws and see details of the legislative process of the United States. Fill out your passport application online or learn how and where to submit your application. Database of United States birth certificates, death certificates, marriage licenses, and other vital records. Centers for Disease Control website dedicated to stopping violence before it happens. A list of past recipients of the William C. Morris Award for first time writers for young adults/teens. View resources for parents of children ages zero to three, including early learning, child development, health, and more.